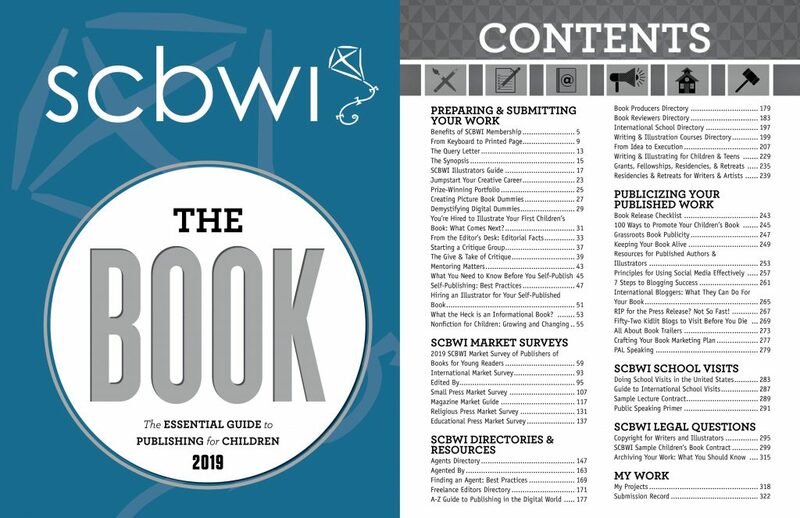 The 2019 edition of The Book is now available! – up-to-the-minute Market Survey, which includes a comprehensive house by house listing of editors, art directors and key personnel. – Other directories include: The International Market Survey, The Book Reviewers Directory, The Agents Directory, and a unique feature called Edited By, in which editors have been personally surveyed to provide a history of their recent acquisitions. – Key resources include: an annotated bibliography of essential reference books for any aspiring children’s book author or illustrator, as well as a current listing of bloggers, reviewers, grants and awards.